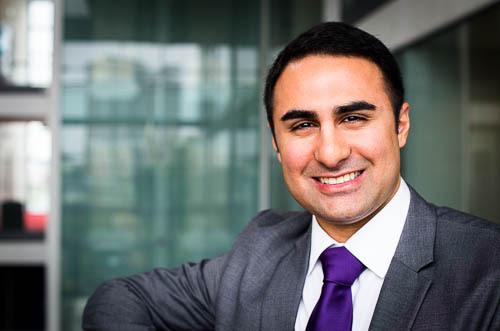 Access to strong industry links helped Milad to succeed in Engineering. Excellence in delivery, a highly-integrated and people oriented business, producing high-value solutions for our customers. Milad achieved First Class Honours in MEng Mechanical Engineering from City, University of London in 2009. Following graduation, he held various positions within the Oil and Gas industry; Proposals Engineer, Mechanical Engineer and currently, he is furthering his experience by working as a Project Engineer in South Korea. Strong industry links, world class teaching staff and state of the art facilities are the reasons that I would certainly recommend studying at City's School of Mathematics, Computer Science & Engineering. My degree has been the foundation stone on which I have built my career; it has given me the necessary tools and confidence in my abilities in order to perform well in my job. I am currently involved in construction phase of BP Clair Ridge project which is being fabricated at Hyundai Heavy Industries (HHI) in South Korea. Clair Ridge is a £6billion investment in the second phase of development on the Clair field which lies 75km west of the Shetland Islands. The development will produce about 640m barrels of oil over 40 years. My role as Project Engineer is to provide support with all Project Management issues related to site engineering and quality team. This includes management and coordination of packages of work, management of engineering input into project processes and interface management between the engineering team with construction to prioritise work scope and resources needed to achieve mechanical completion. The construction of topsides modules are scheduled to complete by early 2016, with production expected to commence in late 2017. I am proud of obtaining my qualifications from such a reputable university that has given me opportunity to deliver challenging and complex projects.